Will airbag work without seat belt ? If you ever had the question “Will an airbag deploy if the seat belt is not on?” on your mind, I am here to help! Ever wonder if will airbag work without seat belt ? We provide the answer to that question. The thing is, seat belts and airbags work together as our restraint systems in the time of a crash or sudden stop. The seat belts in our vehicles serve as primary restraint systems, while the airbags are the supplementary, or secondary, restraint systems. Both are very important for our overall safety on the road. Seat belts work by securing an occupant into his or her seat so as not to project out of it—and possibly out of the vehicle altogether—when a collision occurs. 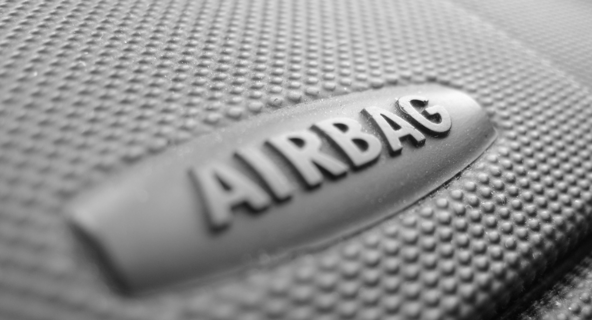 Airbags work to cushion the blow upon impact of an occupant against their vehicle. Airbags mainly protect the head and chest area of the body. Seat belts and airbags are linked together by a unit in vehicles called the SRS airbag module. The airbag light in a vehicle ties into this system. It may turn on because of an airbag fault, problems with the airbag module or any of the following airbag components: faulty seat belt pretensioners, deployed airbags, faulty airbag clock spring, faulty crash sensors, stored crash data, or problems with the wiring harness. 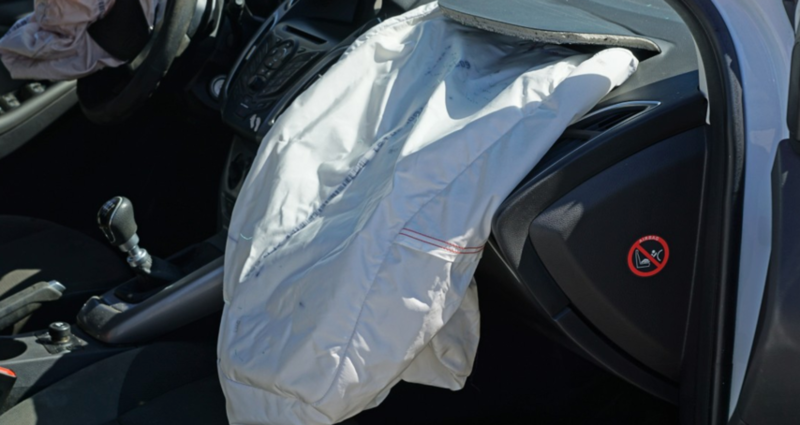 Some automotive manufacturers program vehicles’ ECUs to make a split second decision whether or not to deploy the airbags to prevent injury to the occupant’s head. Therefore, for some models and automotive manufactures, seat belts certainly are required to be fastened in order for the airbags to operate correctly. However, in many vehicles the airbags will still deploy whether or not an occupant is fastened by a safety belt. Unfortunately for the occupant, not wearing a seat belt and crashing into an airbag can yield much more serious injuries than if a seat belt were worn. If you are having problems with your airbags, seat belts, or SRS airbag module, you can turn to the company Safety Restore. Safety Restore performs quality work for only a fraction of the price at the dealer, plus it completes all repairs in a timely fashion. Customers are also guaranteed a lifetime warranty on all services at Safety Restore! Will airbag open without seat belt ? The way that airbags work is by detecting whether or not an occupant is seated on the airbag’s corresponding seat. If there is someone seated in the seat, the manufacturer expects that a seat belt will be worn. If no one is sitting in that seat, the seat belt will clearly not be used and therefore nor will the airbag turn on for that seat. Some manufacturers do have sensors in place in the actual seat that turn the airbag on if a specified minimum weight is placed on the seat. Regardless, full inflation force will be deployed out of the airbag if it detects an unbelted average adult. However, if the airbag detects an occupant who is lightweight—like a small child for example—it may only deploy at a reduced force. It may even not deploy at all, depending on the way it was designed and whether or not the belt was used to avoid injuries from the airbag. As already explained, the airbag should not deploy if the sensors detect no occupant or use of a seat belt. A good thing to remember, though, is that modern airbag systems are still being constantly improved. Airbags may work in a large percentage of cases, but there can be times they aren’t as successful. If you are having problems with your seat belt vs airbag, this is something you should not ignore. Seat belts and airbags are the primary and secondary restraint systems in your vehicle, and mechanisms that should not be taken lightly. 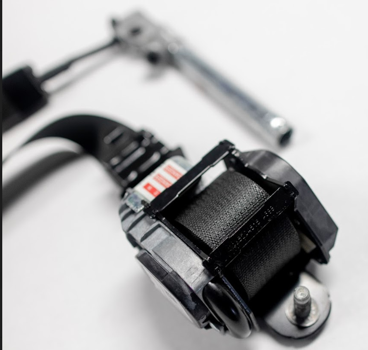 For seat belts in particular, you can either purchase new ones at the dealer or get them repaired at the company Safety Restore. The latter option is much more affordable and will yield the same results. You can rest assured that Safety Restore has quality and safety in mind when it performs the repairs. The company only uses industry standard tools and 100% OEM parts. It is also BBB accredited and carefully makes sure to meet FMVSS standards. 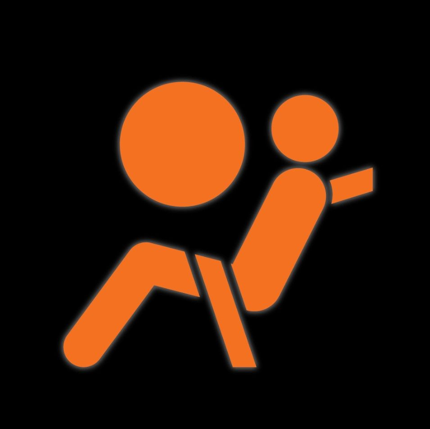 To get seat belt repair, simply log onto safetyrestore.com! There you can purchase the service, before shipping out your belts to the company. Why does the airbag light come on ? It’s kind of funny how some car repairs such as battery changes, oil changes, and tire changes are talked about often—and most people know how to do them—and then there are things like the airbags that drivers don’t pay much attention to. This doesn’t go to say that the former repairs are important, it’s just that dealing with the airbags may be equally, if not more, important. The airbags serve as secondary restraint systems and play a very essential role in the safety of a driver and his passengers. Therefore, it is important to learn about the different parts of the airbag system and why an airbag light might come on. Let me be the one to tell you. Basically put, the entire airbag system runs through a unit called the SRS airbag control module. This includes the seat belts, the airbags, and the impact sensors. When the airbag light comes on in a vehicle, it means that something is wrong with the airbag system. As a result, the airbags will not deploy until the problem is reversed. By resetting the SRS airbag control module, or purchasing an entirely new one, drivers will no longer experience the airbag light. As you can imagine, the purchase of a brand new unit can come with quite a hefty price tag. Therefore, many people opt to have their faulty unit reset. Some choose to conquer the problem on their own by purchasing the software and tools and following instructions online to remove all the stored crash data and hard codes on the unit. If you don’t feel like you’d personally be able to accomplish such a serious task, there is a company called Safety Restore that can help you out. The company specializes in resetting SRS airbag modules back to factory settings. Airbag light comes on and off ? The airbag light is one of those things you should definitely pay attention to. I say this because ignoring it can literally be the difference between your life and death. When the airbag light turns on, this means that the airbag system is not properly functioning. Therefore, if you were to find yourself involved in an accident or sudden stop, your airbags would not deploy—which we all know can result in serious injury or even death. Make sure to pay attention that your airbag light works properly. If your vehicle—and airbag system—is working properly, the light should remain off. Or, in some vehicles, it may turn on for a few seconds along with all other displays and then immediately dim out. This is normal. If the light persists, however, this is when you should get your airbag system looked at! You can either send your vehicle in to a trusted automotive shop, or purchase a scanning tool on your own to check for any fault codes or crash data in your vehicle’s SRS airbag control module. This module is a small device that will be able to tell you all you need to know about your faulty airbag system. Once any codes are detected, you should then proceed by getting them removed. This can be accomplished by either replacing the unit entirely with a brand new module, or buying software to reset the unit from home. There are numerous online resources detailing how the unit can be reset. If you don’t completely trust in your own abilities, you also have the option to send the unit in to Safety Restore. This company will completely eradicate all hard codes and crash data and will return a practically new module back to you. You’ll also have a lifetime warranty to go with it. 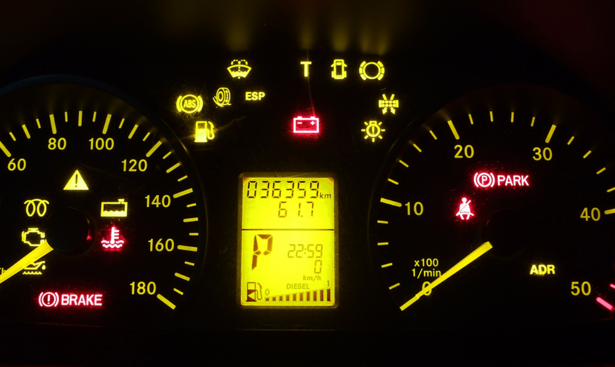 Not sure what causes airbag light to come on? If you are unsure of what causes the airbag light to come on in a vehicle, let me fill you in. Basically, the airbag light comes on when any part of the airbag system—which consists of the seat belts, impact sensors, the SRS airbag control module, and the actual airbags—is not functioning properly. The airbag light warns the driver that the airbags will not deploy during a collision or sudden stop until the problem is dealt with. Without airbags deploying, the occupants of that vehicle can face serious injury and possibly even death, as they will not be protected in this way. To avoid driving hazardously, drivers should immediately do everything in their power to get their airbag system working properly again. Oftentimes, the solution lies in the SRS airbag control module. Drivers have the choice to purchase a brand new SRS airbag control module at the dealer, or have their present one reset. The first option may sound better but it costs much more—and honestly, the second option can garner the same results. If drivers choose to have their present module reset, they can either do it themselves or bring it to a company to get it done. The DIY option certainly does take some work but is still doable. All that is needed is the right software and tools, detailed instructions from online, and patience. The unit needs to be removed from the vehicle, the hard codes and crash data removed, and then the unit can be reinstalled into the car. Of course, the alternative option may be better for some. The company Safety Restore accepts all kinds of SRS airbag control modules and restores them to factory settings. The company makes sure that all hard codes and crash data are eliminated so that the driver will no longer see their airbag light on their dash. The best thing is that Safety Restore does not charge as much as a brand new unit costs at the dealer. What does service airbag mean ? There are many large vehicle repairs that people know about, such as changing a tire, getting an oil change, or switching out the battery. However, when it comes to smaller things like the service airbags, not many people know what exactly to do with them. However, they serve a very important role and should definitely be on the list of things to know about your car. So what exactly does service airbag mean? Let me fill you in. The service airbag message is something that can appear on the DIC of your vehicle, which stands for driver information center. This message can show up if there is an issue with the airbag system that needs to be resolved. The issue can be minor, or it can be something a lot more pressing—it may be telling you that your airbags will not deploy should an accident occur! This means that you will not be protected and can face some serious injury or possibly even death. 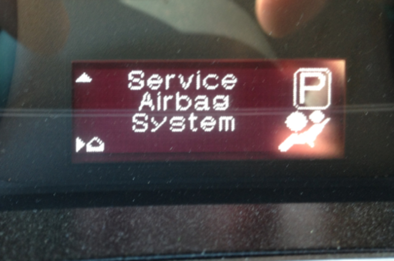 Therefore, when you see the service airbag message pop up, you should immediately get it fixed. 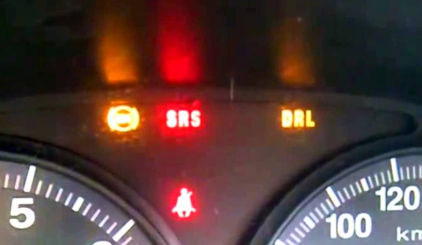 What you might also experience with the service airbag message popping up is your SRS airbag light turning on. This may occur if your car was previously involved in an accident that resulted in the activation of the crash sensors without the airbags actually deploying. As was already mentioned, this is just another reason to get your car looked at. You definitely have a few ways you can go about handling both the service airbag message and SRS airbag light turning on. First, you can go to the dealer to buy a brand new SRS airbag module. If you are well versed in automotive repair, you also have the option of resetting the unit yourself. Of course, if you aren’t fully sure in your abilities, or don’t want to spend the money on software and tools, you can turn to the company Safety Restore to help. What does the SRS light mean ? It is always important to know the different parts of your vehicle and how they work—especially ones that don’t get talked about often. The SRS light is an example of that. Many people do not know why it turns on and what should be done when it does. Let me fill you in below. First of all, to understand why the SRS light turns on, you should know what SRS stands for. SRS is the abbreviation for supplementary restraint system. It is the name given to basically the entire airbag system. Therefore, when the SRS light turns on in a vehicle, it means that something is amiss in the airbag system. This can be an indication of a problem with the actual airbags, the impact sensors, the seat belts, or the SRS airbag control module. More often than not, the problem can be fixed by simply removing the SRS airbag control module out of the vehicle and having it replaced or reset. Before replacing it entirely or resetting it, you should first have it checked for crash data or hard codes. This can be done using a special scanning tool, or by sending it in to a trusted automotive shop. Once the specific codes and data are determined, the next step would be to remove them and reset the unit to factory condition. Of course you do have the choice to purchase a brand new unit at the dealer. However, that can cost you hundreds, if not thousands, of dollars and leave you with the same result had you simply reset the unit. If you choose with the resetting route, you can purchase software and tools and follow instructions online to remove all the fault codes. Or, you can just send your SRS airbag module to Safety Restore. The company will reset the module completely to factory settings and once you get it re-assembled into your vehicle you shouldn’t experience the SRS light any longer. What does it mean when the airbag light comes on ? 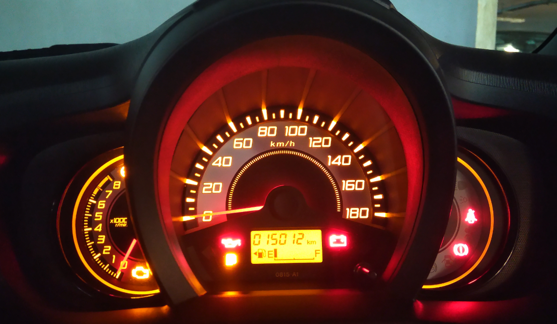 Have you ever looked at the pesky light(s) that turned on your speedometer and actually done something about it? Or are you like most people who just ignores it in hopes of it somehow going away? Believe it or not, ignoring the light, especially if it is your airbag light can be the fine line between your life and death. Below, let me explain to you what it means when the airbag light comes on, and why you shouldn’t just ignore it. To start with, you should probably know what the airbag light really means in order to know why it is so dangerous to disregard it. The airbag light turning on basically says that there is something wrong with your airbag system—which can include anything from the seat belts, impact sensors, airbags, or SRS airbag control module. When the airbag light pops up, it means the airbag system cannot operate properly and therefore the airbags will not deploy in the event of a collision or sudden stop. Obviously, this is a serious problem as the airbags are important safety features in a vehicle. If you want your airbag light to turn off, your best bet would be to purchase a scanning tool that can tell you what hard codes or crash data are found in your vehicle’s SRS airbag control module. You can bring your vehicle into an automotive shop for them to do this step for you just as well. Once the fault codes have been detected you can go ahead with reversing the problem. You can do this by buying a brand new unit at the dealer or resetting your present module. The latter option is much more cost-effective and will give you pretty much the same results. You can follow instructions online to reset the airbag module at home or you can send it in to the company Safety Restore so that they could do it for you. What does it mean when the airbag light is on? Wondering what does it mean when the airbag light is on? Many people get frustrated when they see that one of the displays on their instrument cluster lights up. Immediately, they think about the expenses that will be required to fix the problem behind the light. Often, the thought of the money alone causes them to ignore the issue at hand. However, these kinds of things should never be ignored. If you are facing such an issue yourself, you should immediately find out what is causing your light to turn on and then proceed in getting the correct repairs to have it fixed. If you are seeing this problem with your airbag light, read on to find out what it means and what you should do about it. Basically, when your airbag light turns on, this means that something is wrong with your airbag system. This doesn’t just mean your airbags are not functioning properly though. The problem can also lie within your seat belts, your vehicle’s impact sensors, or the SRS airbag control module—which are all key elements of the airbag system. Lucky for you, the fix usually lies in removing the SRS airbag control module and getting it looked at. If you bring your unit to an automotive shop or purchase your own scanning tool, you’ll be able to decipher the hard codes and/or crash data behind the airbag light turning on. You can then proceed in purchasing a brand new control module or resetting the unit yourself. By doing so, your SRS airbag module will be working like new again and your airbag light should turn off. If the problem lies in your seat belts, then the scanning tool should be able to determine that too. Either way, the company Safety Restore can help you with both, if you do not trust yourself performing the repairs. The company specializes in resetting SRS airbag control modules and also repairing single stage, dual stage, and triple stage seat belts. What does the airbag light mean ? 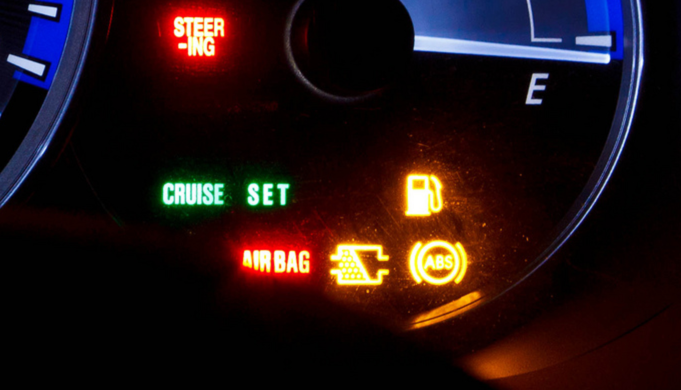 Wondering what does the airbag light mean ? Like all the other mechanisms on an instrument cluster, the airbag light serves its own individual—and very important, may I add—purpose. Let me explain it a little more in detail below. Normally, the airbag light turns on then quickly turns off when you start your car. This is how it should be, and indicates a properly functioning airbag system. If the airbag light stays on, however, this means that there is something wrong with your airbag system. While it is still on, the airbags will not deploy. This can obviously threaten your safety on the road, as airbags serve as secondary restraint systems. Contrary to what you may think, the airbag system doesn’t just consist of the airbags. It also consists of the impact sensors, SRS airbag control module, and the seat belts. Therefore, you should isolate the problem to see where it is coming from. More often than not, the solution to your airbag light lies in resetting the SRS airbag control module. By removing the unit from your vehicle and taking it to a mechanic, you’ll be able to identify any crash data or hard codes that are stored in the computer. You can also buy a scanning tool and do this step from home. The next step would be to either purchase a brand new unit or reset it on your own. If you can complete the reset successfully, you’ll end up with the same result as a brand new airbag module. Plus it will save you hundreds, if not thousands, of dollars. If you are not a seasoned mechanic and don’t think you’ll be successful in resetting the unit, you also have the option of sending it in to the company Safety Restore. They are much more affordable than a dealership, and guarantee quality work. While you are waiting to get your unit reset, avoid driving unless you find it absolutely necessary. You don’t want to be jeopardizing your life or that of your passengers.